Want to see all the technologies used by ubotstudio.com? Use UBot Studio to build your own products, automate your online marketing, and create software that people will actually buy. Seth Turin Media is the privately held software development company that created UBot Studio, which is used by thousands of entrepreneurs worldwide. Within UBot Studio users can quickly develop programs without any prior experience in software development using a simple drag-and-drop interface. They can then compile that software and sell it, or use it to automate their own online and offline tasks. Every day entrepreneurs all over the globe sell products made using UBot Studio, and millions of those products are run on machines worldwide. UBot Studio is the secret behind hundreds of successful products, and allows royalty-free redistribution of all products that are created inside the program. UBot Studio lets you interacts with any and all websites to automate any task. Uploading, downloading, filling out forms, grabbing data from web pages, importing it or exporting, interacting with databases such as MySQL, and automatically creating CSV files can all be done inside the software. It allows for screenshots, image recognition, simulating different user agents, filling out CAPTCHAs, connecting to proxy servers. 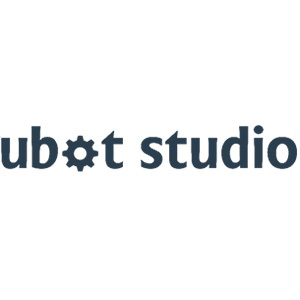 The addition of an API allows plugins to be made outside of the UBot Studio interface which can add features separately to the product, and to products that are built inside UBot Studio. UBot Studio takes most of the complexity out of the process of programming and is the only web automation software that works with every website. The UBot Studio scripting interface provides simple access to control any web page and does not require any prior programming knowledge. The UBot Studio suite of tools includes the Standard Edition, the Professional Edition, and the Developer Edition. For a quick look at additional technographic info on ubotstudio.com or any domain on the web, download our Chrome Extension. Check out our help article to see how Datanyze Insider can help you.